The Renogy Adaptor Kit is a set of two wires designed specifically for connecting a Renogy solar panel to a charge controller. 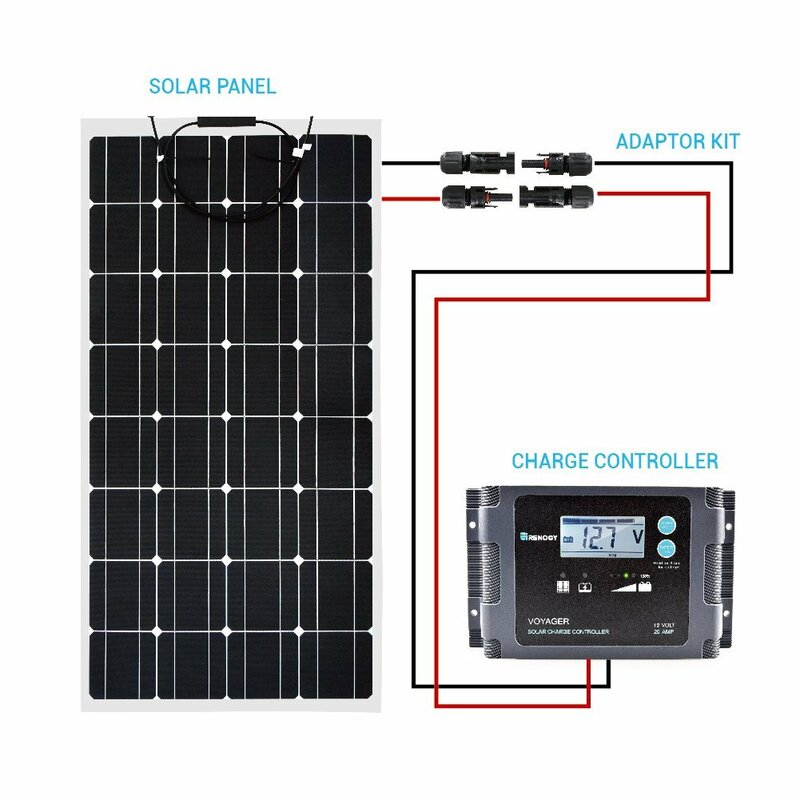 The Adaptor Kit includes MC4 connectors on one end for effortless connection to the solar panel, and exposed wire on the other end to lead directly into the charge controller. This wiring kit is essential for off-grid solar installations, roof or ground level, and is offered in a wide range of sizes. The wiring is weatherproof and designed to withstand extreme heat and cold. This wiring kit is ideal for Renogy Off-Grid Kits ranging from 100W to 400W. Renogy offers a wide range of lengths, as well as two different gauge sizes to choose from. The different sizes allow for customization based on a customer's unique needs. The Renogy 10ft 10AWG Adaptor Kit allows for 10 feet of length between the solar panel and charge controller. Hard plastic connectors at each end. Female and male connectors for an unbreakable connection. Exposed ends for connection to the solar charge controller. Essential for off-grid solar power system setup. Extends and locks built-in cables.